Chicago will host the 30th anniversary Farm Aid concert this Saturday (Sept. 19). Residents of the nation’s third most-populous city will have the opportunity to reacquaint with issues concerning family farmers, through the highest-profile — and most star-powered — event that benefits them and their causes. 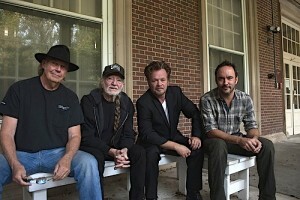 Music legends (from left) Neil Young, Willie Nelson and John Mellencamp founded Farm Aid in 1985 and have led the organization since. Dave Matthews (right) joined the Farm Aid board in 2001. Photo: ©Paul Natkin/Photo Reserve, Inc.
Music legends Willie Nelson, Neil Young and John Mellencamp, along with dozens of other artists, staged the first Farm Aid concert in Champaign, Illinois in 1985 to respond to a farm economic crisis. They and fellow star Dave Matthews, who joined the Farm Aid board in 2001, have raised more $48 million to support farmers and organizations such as FamilyFarmed, with a goal to make our food supply more local, sustainable, humane and fair. Farm Aid is not just about the music, though. The nonprofit organization, based in Cambridge, Massachusetts, has also expanded its mission and reach greatly since its beginnings. The fundraising concert will be preceded by a series of events aimed at informing and engaging the public on the challenges and opportunities that face the nation’s small and medium-sized farms, and how they are benefiting from a Good Food movement that promotes greater supply and demand of local and sustainably produced food. Conceived as a one-off concert in 1985 aimed at drawing national attention to economic conditions that were forcing thousands of family farmers to surrender their livelihoods and their life on the land, Farm Aid today encompasses a Family Farm Disaster Fund; the Farmer Resource Network; a grant program aimed at helping farm families stay on their land, building local markets, confronting corporate control of agriculture, training new farmers and supporting farmer-to-farmer programs for more sustainable agricultural practices; and the Farm Aid Hotline for farmers seeking advice or financial assistance. They also produce HOMEGROWN.org, a website Farm Aid describes as a community for celebrating the culture of agriculture sharing skills such as growing, cooking and canning. FamilyFarmed will be directly involved in Farm Aid by partnering on an urban farm bus tour to growing sites around Chicago on Friday morning and participating Saturday in the HOMEGROWN Village, which will feature interactive, hands-on activities about farms and food at the site of the concert, FirstMerit Bank Pavilion on Northerly Island. 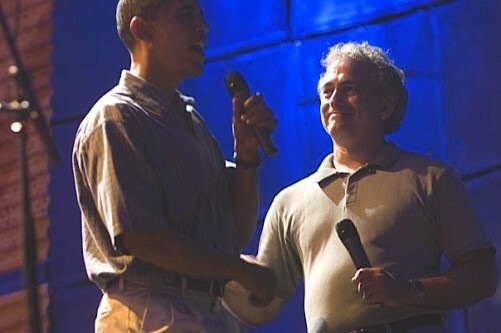 Barack Obama, then a U.S. senator from Illinois, was introduced to the audience at the 2005 Farm Aid concert near Chicago by FamilyFarmed President Jim Slama. The choice of Chicago as the site for the 30th anniversary concert is not a coincidence. That first Farm Aid concert was held about 135 miles south in Champaign, site of the University of Illinois’ flagship campus. The 20th anniversary concert in 2005 was held in the Chicago suburb of Tinley Park. Jim Slama, FamilyFarmed’s president, was honored to introduce Barack Obama — then a U.S. senator from Illinois — to the audience. Steffey said Chicago’s increasing status as a hotbed for Good Food movement and urban agriculture activities also was an important factor in the site choice. 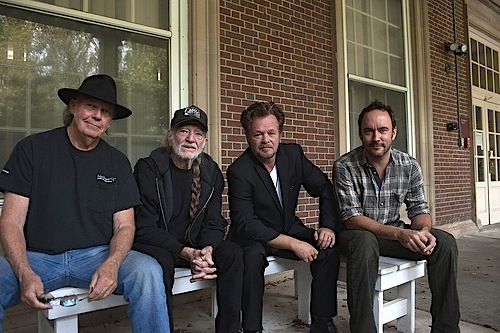 The run-up to the Farm Aid concert in Chicago begins with the Film2FarmAid event that, over three nights beginning Tuesday, will present 15 feature-length and short films on subjects pertaining to food and agriculture at the McCormick Place convention center. Some close friends of FamilyFarmed, and its efforts to promote the Good Food movement, will be showing documentaries they produced at Film2FarmAid on Tuesday evening. • Food Patriots is co-produced by Jeff and Jennifer Amdur Spitz of Chicago’s Groundswell Films. The film documents how the married couple was motivated by their son Sam’s serious battle with a food-borne illness to grow a food garden and raise chickens at home and become Good Food movement activists. Along with their moving family story, Food Patriots treats the serious issues of fixing the nation’s food system with a dose of good humor, and takes an incremental approach that calls for people to start by making a 10 percent change in their food purchases and eating habits. • A Chicago Ranch is a lyrical short film about the pioneering efforts of Illinois’ Frank Morgan to raise grass-fed beef for the nearby Chicago market at his Q7 Ranch. Chicago’s Mark Wilhelms produced the film shortly before Morgan’s death in 2012, and it helped inspire him to launch Red Meat Market, which retails local and sustainably produced meat online and is a regular participant in FamilyFarmed’s Good Food Festival & Conference. The film festival will be capped on Thursday evening with the presentation of the 1984 feature film Country, about an Iowa farm couple — played by Jessica Lange and Sam Shepard — who were fighting to stave off foreclosure during the crisis that afflicted family farmers in that era. 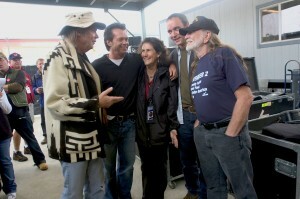 The real-life issue portrayed in the movie was one that inspired the first Farm Aid concert in 1985. The showing of “Country” will be followed by a panel discussion, led by Farm Aid’s Carolyn Mugar, that will include local family farmers and Sarah Vogel, who led the legal team that won the class-action case of Coleman v. Block, which resulted in an injunction barring the U.S. Department of Agriculture from foreclosing on nearly 80,000 family farms. Vogel went on to serve as North Dakota’s agriculture commissioner from 1989 to 1997. The Tuesday and Wednesday film showings will also be followed by panel discussion, and a post-screening reception featuring local foods will be held each evening at McCormick Place’s rooftop farm. The film festival is co-sponsored by the convention center and Savor…Chicago, its exclusive food and beverage provider, which is living up to a commitment made at FamilyFarmed’s 2014 Good Food Festival & Conference to greatly increase its use of locally produced food. Friday will bring the bus tour of urban farms that Farm Aid is conducting in partnership with FamilyFarmed, and discussions that Steffey said would be “more of a working session for those interested in digging a little deeper.” And on Friday night there will be a warm-up for Saturday’s big events on Northerly Island: a ticketed pre-party at the River Roast restaurant on the north side of the Chicago River in downtown Chicago. To learn more about Farm Aid’s history, goals and priorities, click here to read a column by founder Willie Nelson that Good Food on Every Table republished recently. This entry was posted in Family Farms, Farm Aid, Farm businesses, Farmer training, Food documentaries, Food Entrepreneurs, Food policy, Local Food, Small Farmers, Sustainable food systems and tagged Dave Matthews, Family Farmed, Family Farms, Farm Aid, Farm Aid 2015 concert Chicago, Food Patriots, John Mellencamp, Neil Young, small farmers, U.S. agriculture, U.S. farming, Willie Nelson. Bookmark the permalink.